MAG Subscriptions. 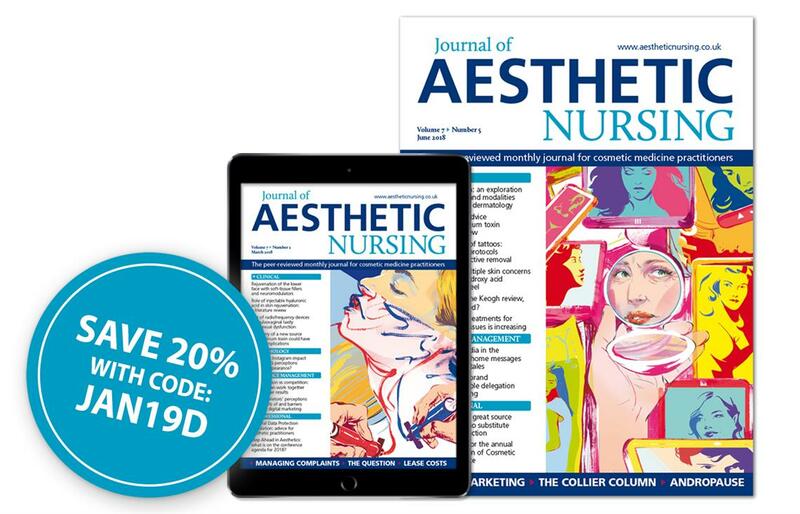 Journal of Aesthetic Nursing – Sale! The Sale is now on! You can save up to £29.00 on your subscription - order now with code JAN19D. 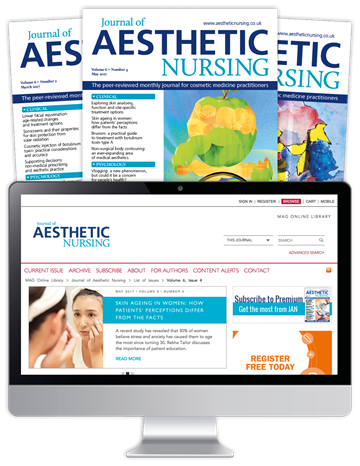 Journal of Aesthetic Nursing is a peer-reviewed clinical and professional journal for aesthetic nurses. 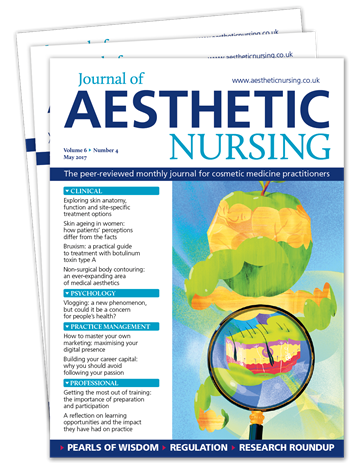 The journal pledges to support aesthetic nurses in advancing their practice and to encourage other nurses wishing to make a career in this specialty. 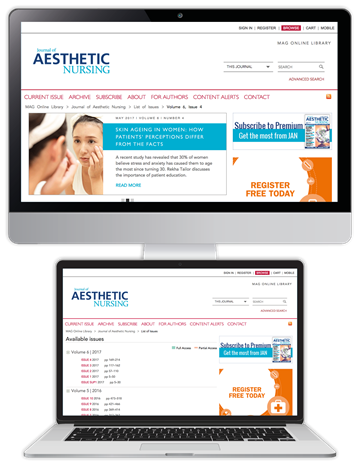 We provide practitioners with practical advice, clinical expertise and support, to keep readers up-to-date with best practice and to support their continuing professional development. To claim your 20% discount, simply select your subscription option below, and quote code JAN19D when prompted. This once-a-year offer ends on Friday 7th June (11:59PM GMT).